My favorite part of holiday meals is dessert. Well, honestly, isn’t that EVERYONE’s favorite? 🙂 I like to try new desserts so that’s what I always sign up for at our family meals. And Pinterest is the world’s best place to search! 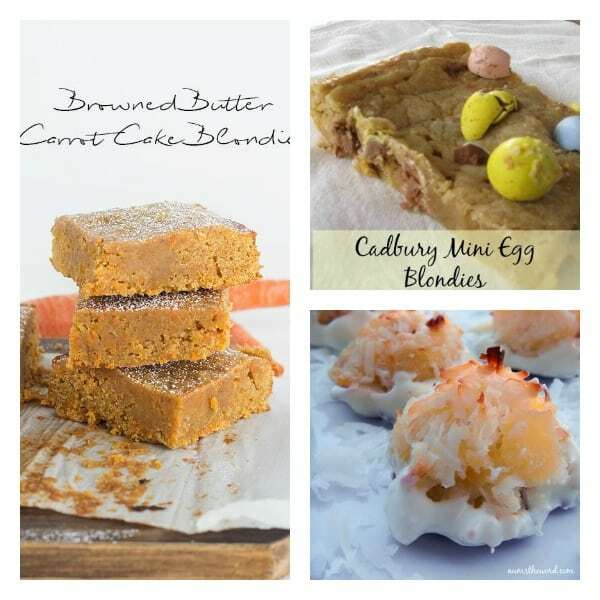 I typed Easter desserts into the search bar and BAM! there were hundreds of ideas to pick from. They are bright and cheery and full of spring flavors. 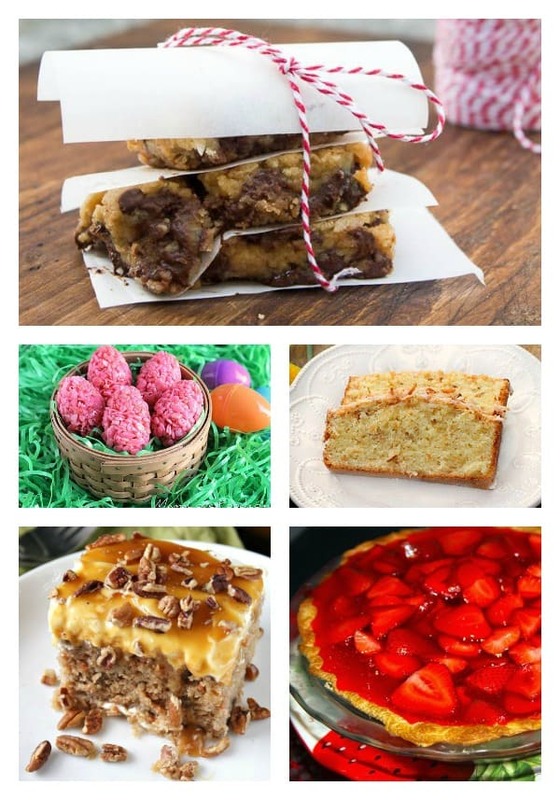 I started pinning them all to a secret board (I didn’t want to annoy you with my zillion Easter pins all at once) and then I decided I would collect my favorites into one post and share them with you! 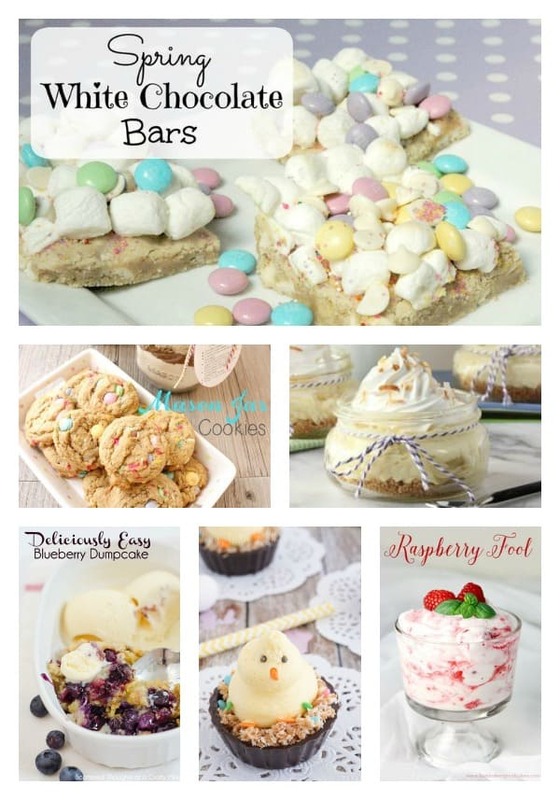 Remember, if you want to pin a particular recipe, then click-through the link to that post and pin from the source. If you want to save the whole collection, please pin away! Happy Easter! 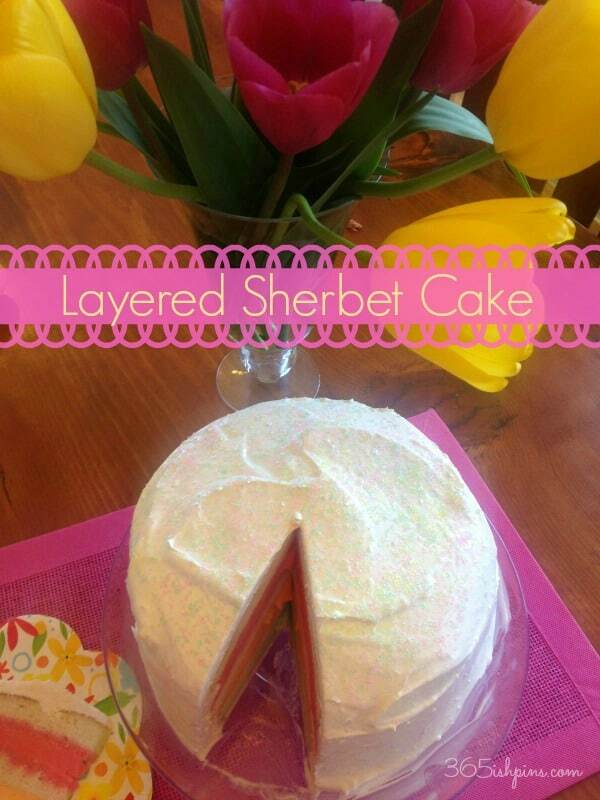 I made this Layered Sherbet Cake for Easter last year. My son saw me putting up this photo and asked me to make it again. He really likes sherbet. The frosting on this is really light and yummy, and it’s so colorful and bright! 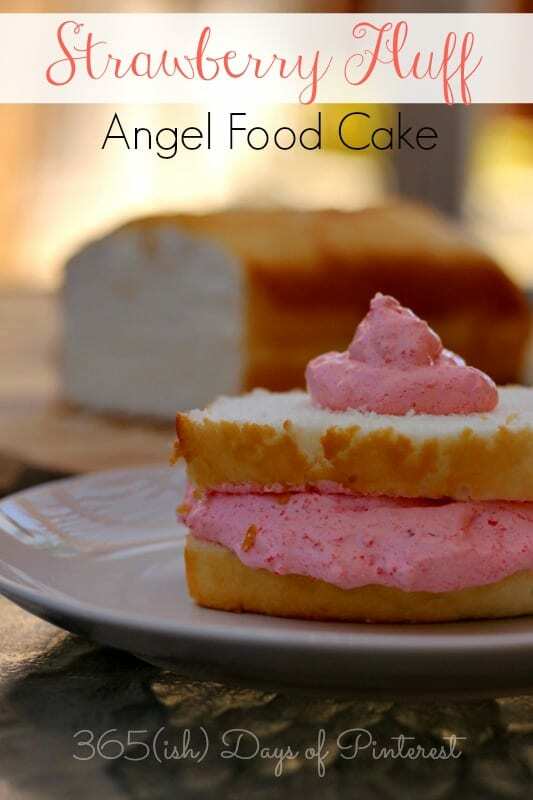 This Strawberry Fluff Angel Food Cake is perfect if you are trying to watch your calorie intake but still want to enjoy dessert after Easter dinner. 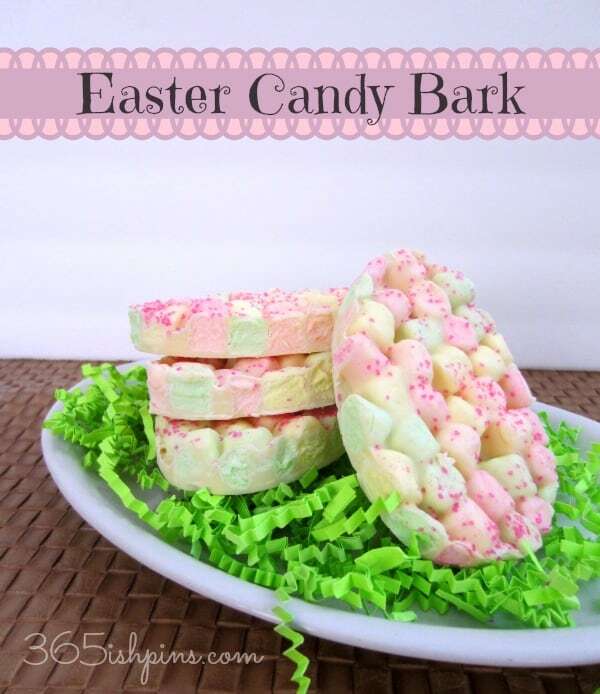 The filling is light and fluffy and a pretty pink color. You know those frosted sugar cookies they sell at the grocery store for about a zillion dollars a dozen? This is the homemade and delicious answer to those! 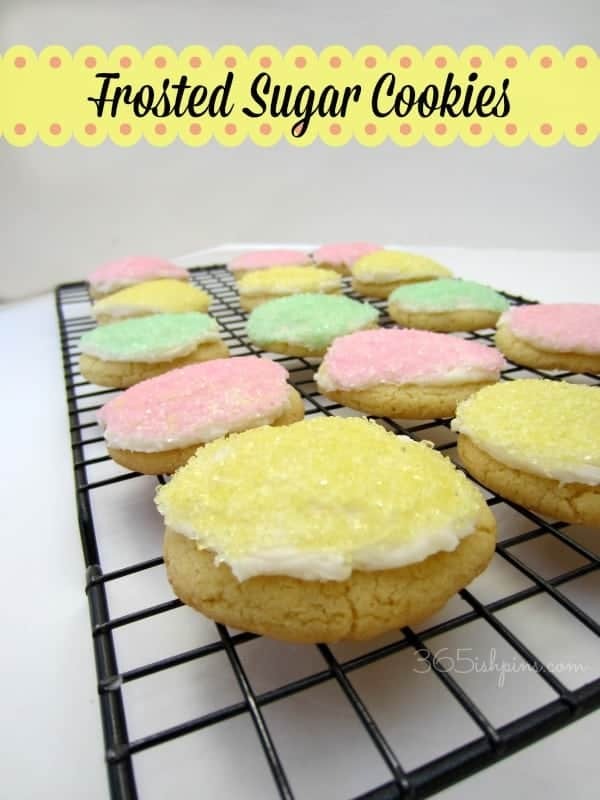 Add some pretty pastel sprinkles and they look great on the Easter table! So which one did I choose for this year’s Easter dinner? You’ll just have to wait and see! 😉 I have a feeling it’s going to deserve its own post in the very near future! What about you? 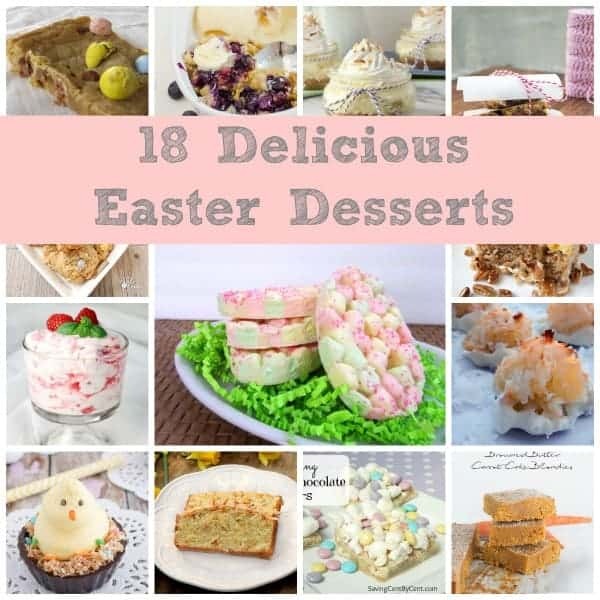 What are you planning for dessert on Sunday?